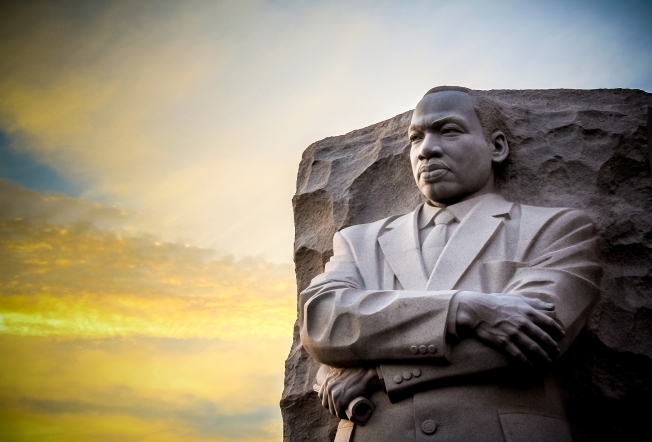 9 Events in the DMV to Honor Martin Luther King Jr. Between live performances, community discussions and special screenings, organizations across the city are hosting many free events that honor and celebrate Dr. Martin Luther King Jr.’s legacy. Most events are free, but some require registration. When: Jan. 14, 6 p.m. The musical celebration honoring King will feature the Howard Gospel Choir and the Bowie High School Choral Program. Doors open at 5:30 p.m. Admission is $5 for students, $15 for adults and $10 for those 65 and over. When: Jan. 15, 10:30 a.m.
Where: Woodbridge Neighborhood Library, Washington D.C.
Children aged 2 to 12 are encouraged to come with their families to learn about King at this day-long celebration. A screening of the film “Our Friend, Martin” will begin at 10:30 a.m. followed by a reading of “Separate Is Never Equal” by author Duncan Tonatiuh at 2:30 p.m.
Where: 2500 Martin Luther King Jr. Ave. SE, Washington, D.C. The 37th Annual Dr. Martin Luther King Jr. Parade will begin on Good Hope Road near the Anacostia Park entrance and continue along Martin Luther King Avenue to Barry Farm Recreation Center. The celebration of King’s legacy will feature several high school marching bands including Ballou High School, Dunbar High School and Anacostia High School. Before the parade, there is a peace walk at 10 a.m. The two-mile walk starts at the same location as the parade. When: Jan. 15, 2 p.m. to 6 p.m. Constructed from a wealth of archival footage, the museum presents a special screening of the documentary that follows King from 1955 and 1968. From his speeches, arrests and protests, the film follows his rise from regional activist to leader of the Civil Rights Movement. The event is free with registration. It is recommended to arrive early. Registration does not guarantee a seat. Talk Around Town: Racial Equality in the U.S. 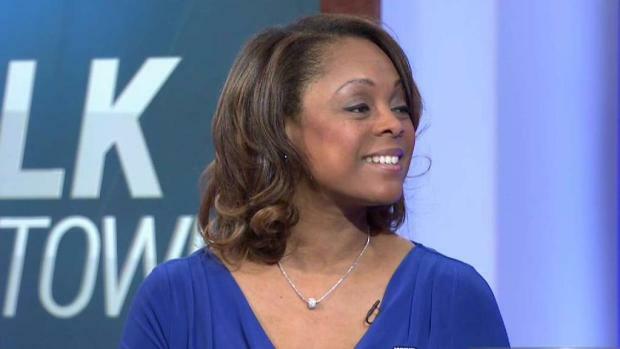 Heading into Martin Luther King Day weekend, WHUR's Taylor Thomas talks with News4 anchor Pat Lawson Muse about racial equality in the U.S. When: Jan. 15, 3 p.m. to 4 p.m. The Washington D.C. Police Foundation and Metropolitan Police Department invite you to a free screening of “From India With Love.” The film is about six Americans who are victims of violence from different backgrounds who embarked on a journey to India in 2016. The documentary was inspired by a King’s similar journey to India in 1959. When: Jan 15, 3:45 p.m.
King’s final Sunday sermon was preached at the National Cathedral 50 years ago. The special service will have excerpts of Kings’ final sermon through song, prayer and dance. The celebration will feature the Howard University Choir and the Washington National Cathedral house band. Doors will open at 3:30 p.m. When: Jan. 15, 6 p.m. The Kennedy Center and Georgetown University will celebrate the legacy of King through a musical tribute featuring Vanessa Williams and the Let Freedom Ring Choir. Tickets will be distributed at 4:30 p.m. and seating will begin at 5:15 p.m. You can only get two tickets per person. When: Jan. 15, 11 a.m. This free event will include performances and keynote speaker Dr. Marcia Chatelain. The program will honor a Martin Luther King Jr. Youth Award recipient. The luncheon will feature a keynote address from co-chair of the 2017 Women’s March on Washington Tamika D. Mallory. Ticket prices vary from $5 to $10.